The City State of the World Emperor is surrounded by a great, green-stone wall and dominated by the equally green palace of His Piscine Majesty and temple of Mer Shunna. These, and other temples to the chief gods of the city, form a large square in the south of the city. From this square run great avenues that divide the city into its various districts and quarters. Between these avenues run various side streets and allies that give Viridistan the appearance of a tremendous spiderweb. Below are description of the city's main quarters. Note that individual streets within these quarters will often contradict the general description provided here, and it is not uncommon to find extreme poverty in some of the older areas of the Noble Quarter or opulence in the Seafront. As mentioned above, the southern portion of the city is dominated by a series of connected squares and plazas, themselves dominated by temples to various deities. Hypothetically, these squares should be the most open areas of the city, but they are so often thronging with the ecstatic members of various faiths, as well as those visiting the farmers markets, that is usually quite difficult to move from one side of the plazas to the other. The other major feature of these plazas is that they lie ever in the shadow of the fortress-palace of the World Emperor, a green-stone building of a size that rivals the Mer Shunna temple. Example Place to Rob: Temple Tempter - this temple to Nephtys, goddess of wealth, acts as both temple and bank, though rumor has it that its vaults are currently filled with giant spiders, the result of a strange heresy best discussed elsewhere. To the East of the Mer Shunna temple lies the Noble Quarter, which is comprised of a series of small palaces, townhouses, gardens, and the various service industries the decadent nobility of such a city require. The design of these structures, with their courtyards, adjoining servants quarters, and in some cases private menageries, mean that this quarter takes up a disproportionate amount of the city's acreage. However, even with these lavish structures, there are still many pockets of poverty - old palaces converted into tenements, neighborhoods designed only for slaves, etc. Example Place to Rob: The Apothecary - the nameless apothecary shop where the Noble Quarter meets the main Temple Square is known to but a few in the city. It's proprietor is a mysterious hooded man, though it is well known - well, well known to those who know of him in the first place - that he rarely spends any time within the shop. The classification of it as an "apothecary" is, perhaps, inaccurate and certainly belies the many magical wonders to be found within. North of the Noble Quarter is the Military District, a mix of barracks, military-service industries, and tenements for out of luck ex-soldiers. The tenements are sometimes purchased by up and coming mercenary companies and turned into makeshift fortresses. 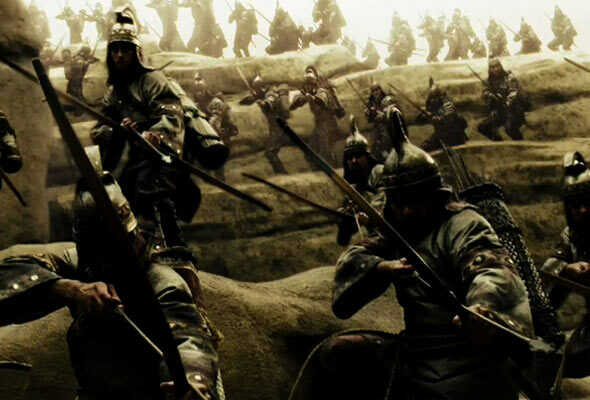 Brawls are almost as common here as fires, due to the animosity between the Viridian, Ghinorian, and Tharabian troops. Example Place to Rob: The Green Warlords Armory - The Green Warlords rival the Imperial Guard in terms of prestige within the city. They are, in essence, a Viridian-only mercenary company in the permanent employ of the God-Priest of Armadod-Bog, who just so happens to be the World Emperor. Their armory is filled with alchemical weapons of various designs, as well as weapon-relics said to be from the Uttermost War and the days of the First Men. It is also well known to be heavily guarded, and not just by men. The Guildsmen Quarter is a thin strip that of what passes for a middle-class neighborhood in the Wilderlands. As one would suspect, it houses the members of various guilds, both mundane and arcane, as well as their supporting businesses. Each street and alley that pierces the quarter is named for a particular guild, though oddly the vagaries of time mean that the guild present and the street name often become disassociated. 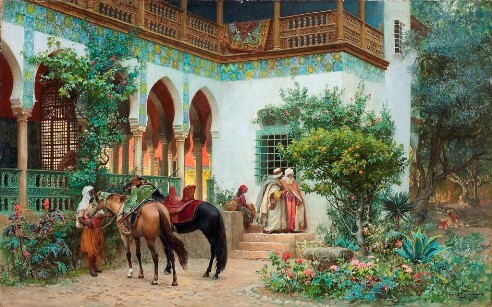 Example Place to Rob: The Ravishing Bazaar - While some may think of this place as a glorified toy store, this house of curiosities and amusements contains wonders which, while not particularly practical, are often valuable to the right kinds of perverts. These quarters, while technically separate, are so intertwined that it is impossible for those not native to the city to distinguish them. 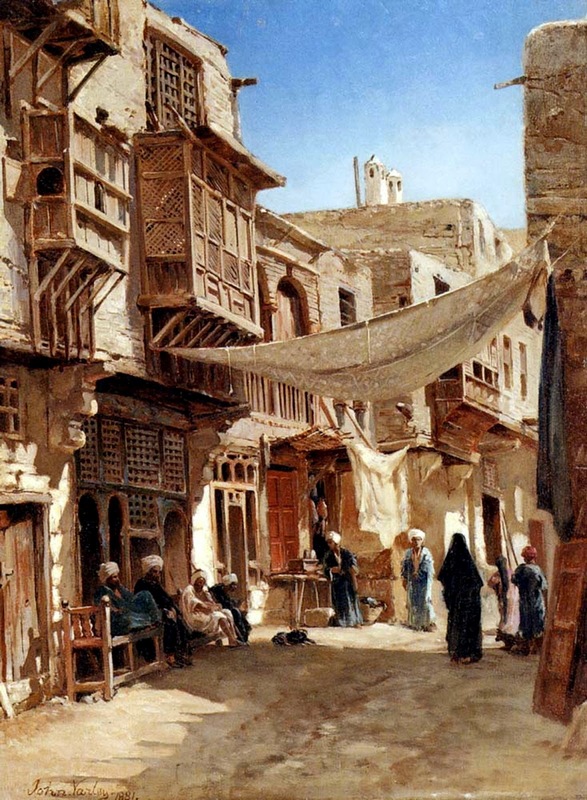 The Merchants Quarter is closer to the Temple Squares, but the characteristics of both - poor houses, raucous bazaars, hawkers of fine crap, and, of course, thieves - are common throughout. Like the Guildsmen quarter, most houses and businesses are multistory mudbrick affairs, though the slightly higher percentage of wooden structures makes fire a constant problem, as it is in the Military District. Example Place to Rob: The Slop and Hop - it is a well known secret that this local tavern serves as the headquarters of the "thieves' guild," though whether or not such a thing exists as a unified front is debatable. Regardless, the thieves who operate out of the Slop and Hop supposedly store their goods beneath the tavern while looking for a good fence, so it may be a good place to rob the robbers. These quarters are easier to differentiate than the Merchants and Thieves Quarters, but are similar enough that they may be discussed together. The Elephan quarter lies south of the Merchants Quarter, just below a fairly steep escarpment. It is a ghetto for the city's Elephan population, and thus is perhaps the worst maintained area in the city - more for the neglect of the city officials than any villainy on the part of the Elephans. It merges with the Seafront District where an artificial channel has been created to serve as a docking place for ships. The Seafront District is almost equally impoverished, but more often houses foreigners of various sorts. 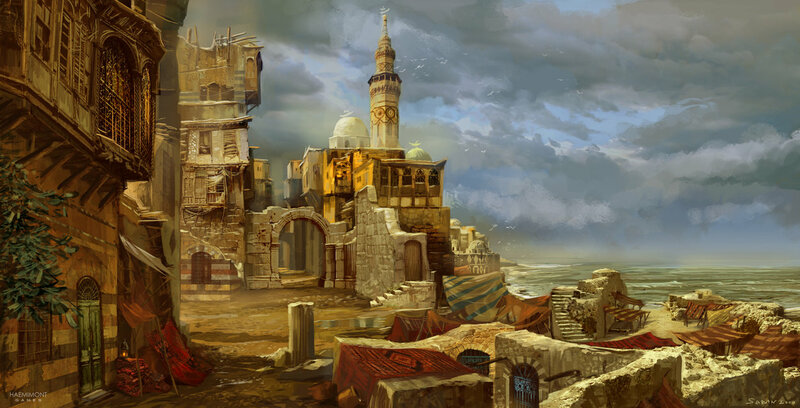 Example Place to Rob: Spice Warehouse - Viridistan is known as the City of Spices, and the Mer Shunna temple holds a virtual monopoly on the procurement and sale of these valuable items. An enormous warehouse, constructed where once several Elephan families lived in terrible conditions, dominates the northern end of the docks and houses much of Mer Shunna's wealth. This page describes the various races that may serve as PCs - and some only as NPCs - in the Viridistan campaign. This page will be updated when new races become available. All of these ethnicities use the rules for humans found in the Basic D&D pdf. 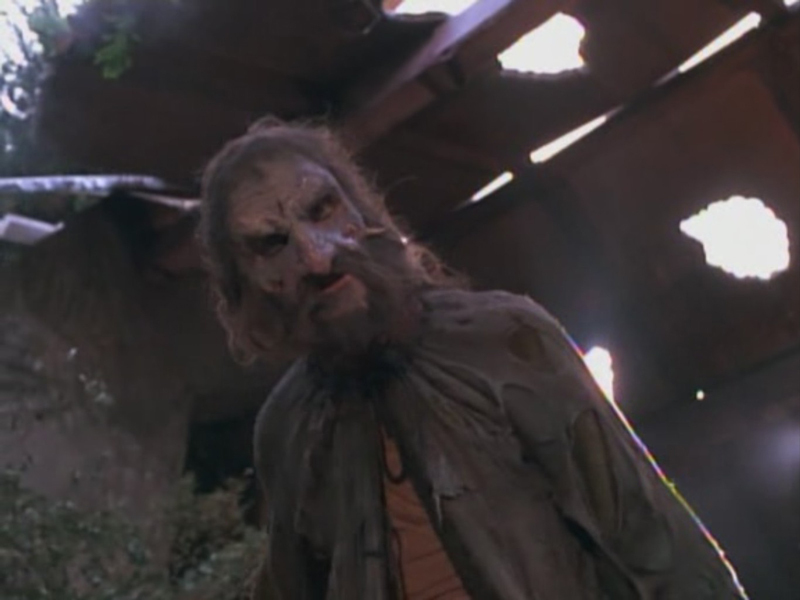 Altanians are red skinned (ranging from rusty clay to coke can) barbarians from the jungles of Altanis. Some sages believe they may be related to the Orichalcans who ruled an empire that stretched the entirety of the Pazidun Peninsula before the kingdom of Kelnore. Now they live in tribal groups and hunt the ruins of their(?) glorious past. 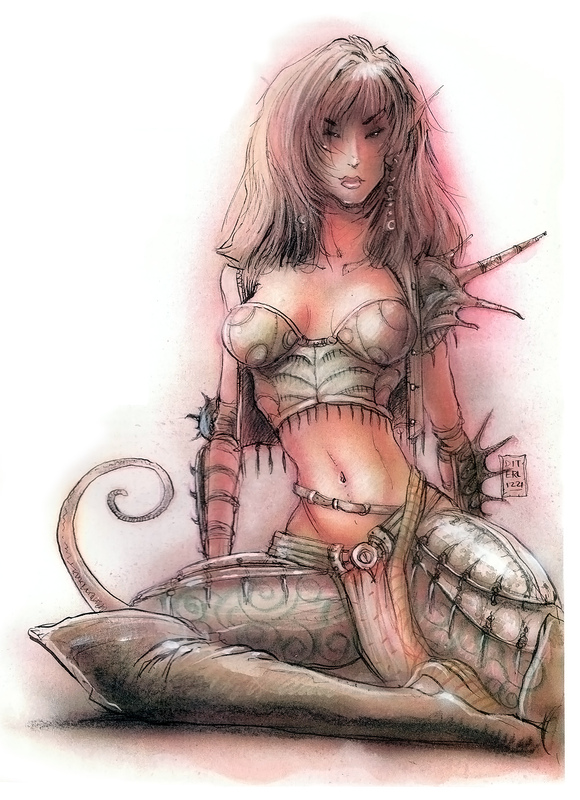 Antilians and Viridians often use them as slaves, and they may also be found throughout the Wilderlands of Swords and Devilry serving as mercenaries and body guards. Women and men are, unusually for the Wilderlands, more or less equal among these people, but women more often fill spiritual roles while men fill martial ones. Antilians are the inhabitants of the city of Antil, though their merchant ships may be found slaving or selling slaves in nearly every part of the Wilderlands. Men typically shave their heads and wear outrageous sword & sorcery badguy armor rather than anything practical. They are known for their highly sexist society and their hatred of Amazons. Ghinorians were the dominate ethnicity of the Kelnore Empire and they are still the dominate ethnicity in the area surrounding Viridistan. 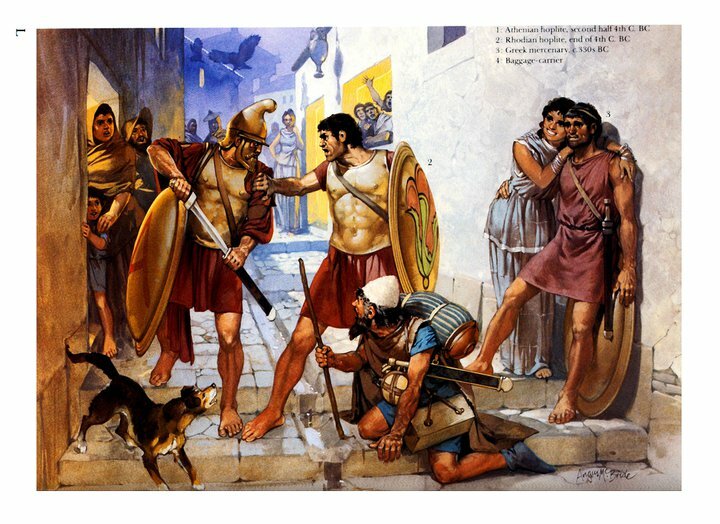 They most closely resemble the Greeks of our world during the period after the death of Alexander. They still rule several kingdoms in the southern part of the Wilderlands, but these are small and so constantly at war with eachother that they rarely effect politics in the north. The Overlord of the White Throne, the ruler of the newly independent Damkina, is a Ghinorian and is attempting to rally the northern Ghinorians around him against the Viridian Emperor. These barbarian people originally hailed from somewhere north of the Valley of the Ancients. They were invited several generations ago by the Viridian Emperor to serve as mercenaries against the Invincible Overlord. Since then they have settled land now known as the Tharabian Coast, and are now also found in the service of Bjorn the Mighty, the Invincible Overlord. Their material culture is a mixture of Celtic and Scythian. These are the descendants of the inhuman True Viridians and their Ghinorian subjects. Since only a few True Viridians exist in the world, the "common" Viridians have taken over most of the administration of the empire and the temples of Armadod-bog and Natch Ur. 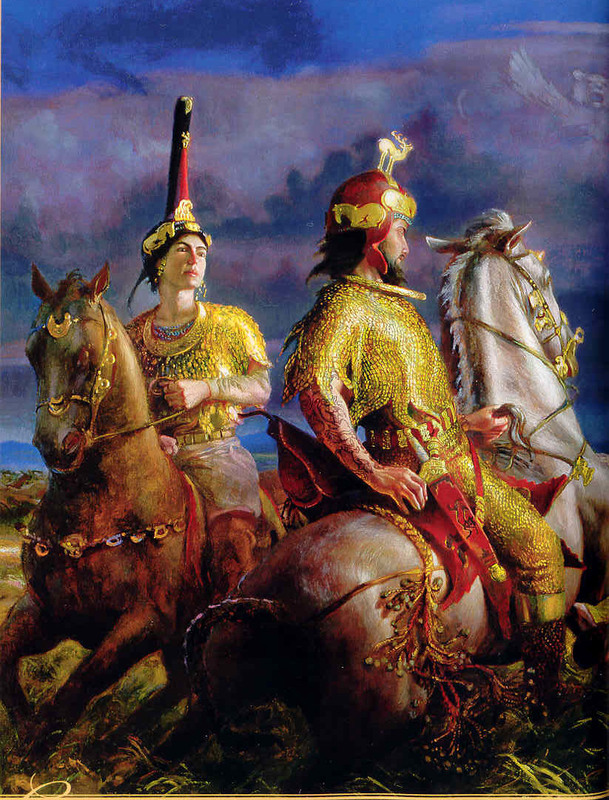 They resemble the Persians of our world, particularly the Sassanians, but their greenish skin and fantastical weaponry would immediately show them as being not from Earth. 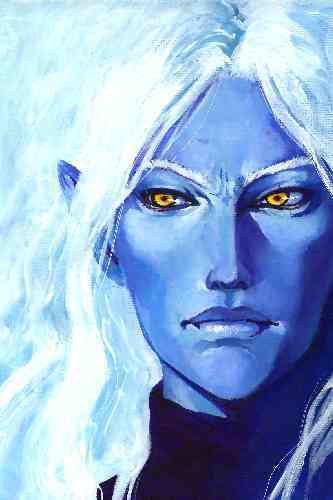 All Northern Elves possess blue skin, though the "high" variety tends to be more of a deep blue while the "wood" variety is kind of a blue green. 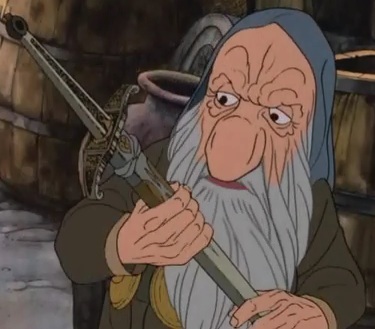 High Elves are likely from Valon or from some other bastion of the old elven kingdom in the Elephand lands. Wood Elves found in Viridistan usually come from the Elsenwood, but they only rarely visit the city since the Viridians have great antipathy for them. 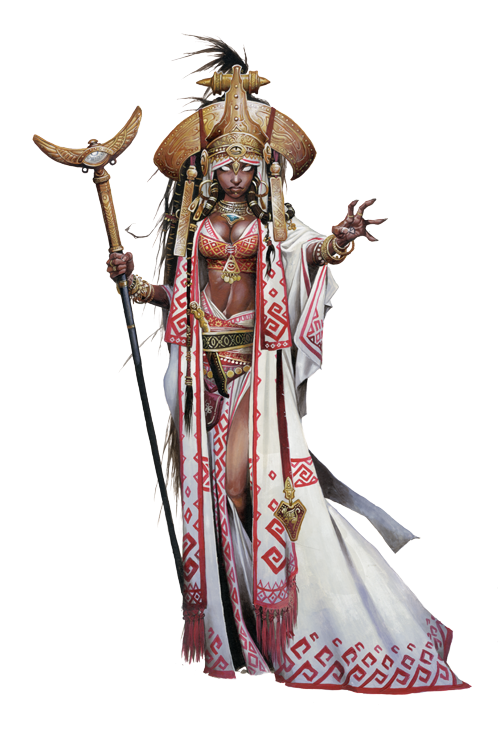 "Dark Elves" of the Wilderlands are different from Drow and are not available as player characters. 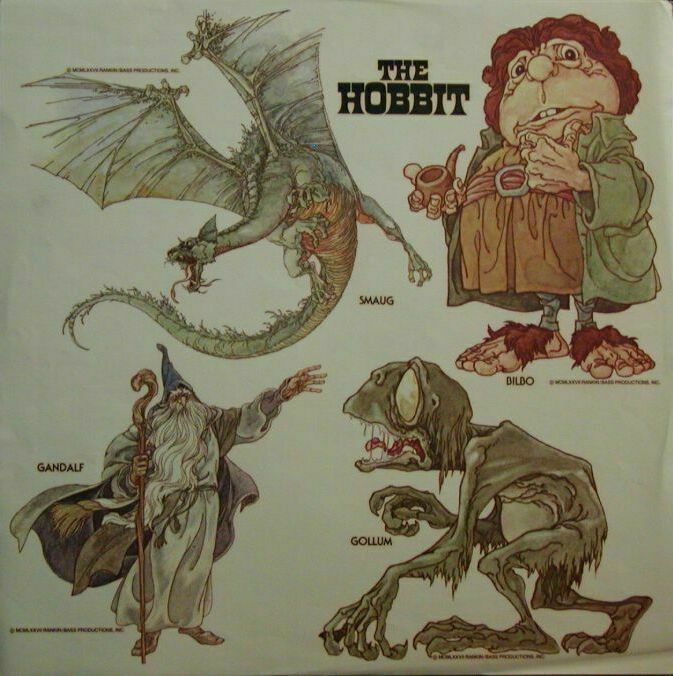 Halflings are Hobbits, though both stout and lightfoot varieties are found in the Wilderlands. They are very rare in Viridistan, and are more commonly found around Eastern cities such as Tarsh and on the Ebony Coast. The ancient Markrabs, a long extinct race, bred many of their servitor demons with human stock. The descendents of these mating experiments still exist throughout the urban areas of the Wilderlands, and new parings are still made in the distant Demon Empires of the South. Tieflings tend to show more subtle signs of their heritage than their normal (5e) D&D counterparts. These races are not available as PCs yet. This is mostly because I haven't worked up stats for them, but in the case of True Viridians it is because their population is not large enough to support a flow of PCs. 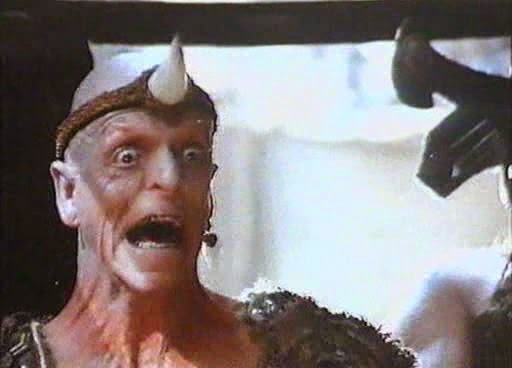 Amazons are a strange race which sages believe was created many years ago by a strange wizard named Lurr. 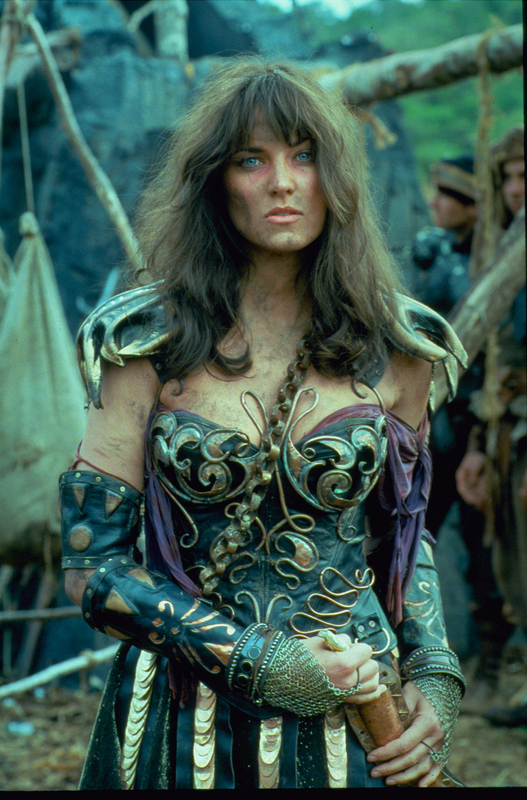 He supposedly saw a vision from a distant world depicting a savage warrior woman, and decided to construct his own for reasons I'd rather not get into. Amazons produce with gynogenesis and thus are all identical in appearance, resembling the woman of Lurr's strange dream. They are all female and almost all powerful warriors. 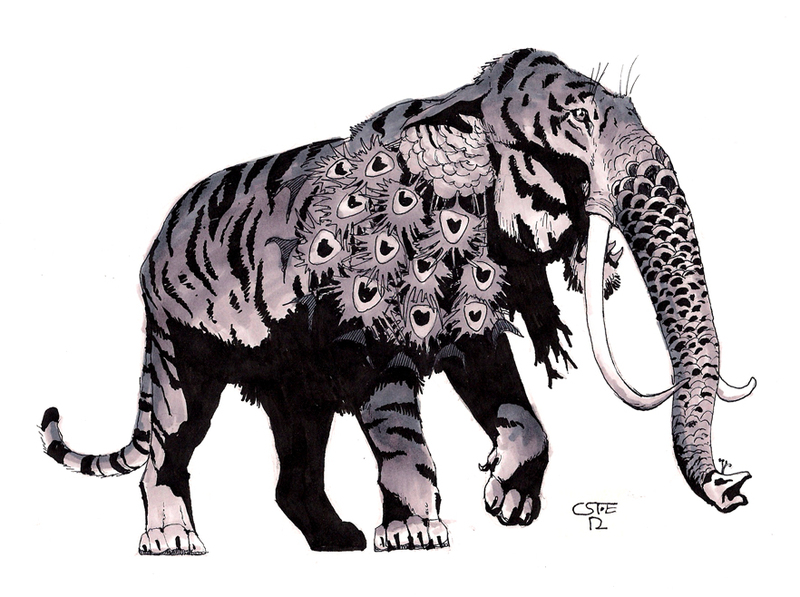 The Elephan Cavemen are the neanderthal-like inhabitants of the Elephand Lands and posses a strange affinity both for Wilderlands "mammoths" and for elves. They have been subjugated by the Viridian Emperor, though this has allowed them to best their fellow cavemen with the superior military technology of that strange race. There is a significant population of them in the city of Viridistan itself, where they have their own quarter. 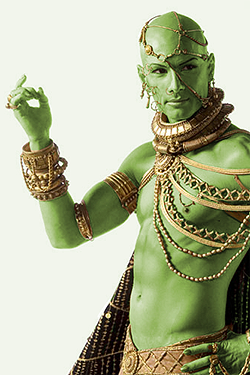 These are the green-skinned, chosen people of Armadod-bog - though even they must whip themselves with silver fish tails for the crime of being born land things. It is believed that the Viridian Emperor and his handful of sister-wives are the last of their race. These wives are, unfortunately for the Viridians but perhaps fortunately for mankind, so inbred as to be infertile. The man pictured above may have resembled the emperor in the distant past, but now he is twisted and bloated, and it is believed he has scarred his face to more closely resemble the visage of his master. So despite my last post calling for players, I decided to put my Uz campaign on hiatus because I had that age old problem of burnout. Now I'm feeling less burned out in time for the release of 5e, and I've mentioned a couple of times that that system fills my nostalgia-sack to bursting with precious orgone, so I thought I'd give it a whirl. As I was going to do with the playtest version, I'll be using the Wilderlands for this, since it is at least somewhat close to 5e's default assumptions while still being palatable to me. In the dying years of Kelnore, when that glittering but death-sick empire collapsed under the weight of its own decadence and hordes of invaders, a strange people came to the shores of the Trident Gulf. They were a green skinned people, and legend says their blood carried an ancient lineage from the Demon Kingdoms in the distant south. In the gulf they found the god Armadod-Bog and the race of fish-men that were at that time his servitors. Armadod-bog promised these green men that they should have a great empire if they venerated him and mortified themselves for the sin of being born land-things. And so the Viridians met their god and their fanatical hordes of flagellants conquered many of the cities of old Kelnore, enslaved the caveman of the Elephan Lands, and butchered many northern elves. Eventually they traded fanatics for keen archers, but this did little to stem the tide of their empire building. Twice they forced the "Invincible" Overlord to submit, first at the infamous Bloodless Battle and again when the great and terrible relic from the Uttermost War nearly destroyed the City State. They ruled territory as far north as Damkina, as far south as the hills north of Lenap, and as far east as the Majestic Mountains. But those days are gone. Like Kelnore before them, and like the First men and the Markrabs before them, their empire is dying. His Piscine Majesty, the seemingly immortal Viridian Emperor, has retreated with his sister-wives, the infertile remnants of his once powerful race, into the Mer Shunna Temple, and rumors abound that he is losing his power. Certainly that seems to be the case abroad - Damkina has asserted its independence, the new Invincible Overlord - Bjorn the Mighty - and his Skandik allies are reclaiming the land beyond the Majestic Mountains, and even the Elves of Elsenwood have grown bold enough to once again challenge Viridian soldiers. There are even rumors that the Satrap of Tell Qa seeks to join Damkina in its revolt against the Lord of Land and Sea. Even Armadod-bog seems to have turned his many, ever-open eyes away from the city. The sect of Mycr, a peaceful god worshiped in the Desert Lands, has been growing within the city and throughout the empire. It is said that they work magics to undo the rituals to the city's traditional gods, and that they preach such rank heresy that the gods are literally sickened by them. During better times, his Piscine Majesty would have drowned these freakish blasphemers by the thousands. Once his hosts even stormed their strange cave cities and sacked the temple to their "true god." Now only a few score are killed every year, and without the Emperor's emerald hand to guide them these few executions are at best half-hearted. Despite all this, it is doubtful that any city in the Wilderlands can rival the splendor of Viridistan even in this debased state, much less any "empire." 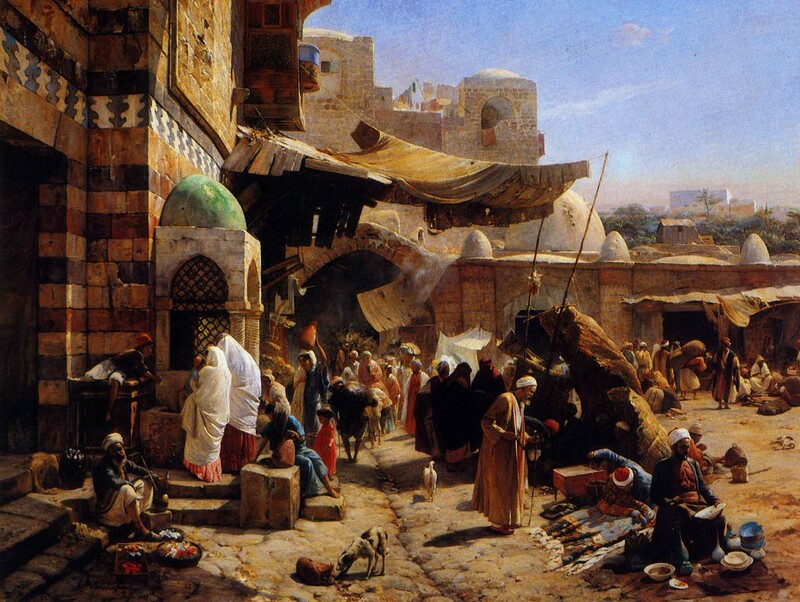 For this reason it has attracted a large population of Tharabian mercenaries and many adventurers. The PCs are presumably of this second category. One can carve a lot of wealth out of the corpse of a dead empire. In future posts I hope to cover some subtle differences in the races and backgrounds of the PCs as well as give an overview of the different quarters of the city, its common religions, and the nearby dungeons.